3. For Screws, Bolts & Nuts, Fasteners, Springs, Steel Nail, Bearings, Chains, Hand Tools, Sewing Needles, Auto parts Carburizing/Refining mass production. 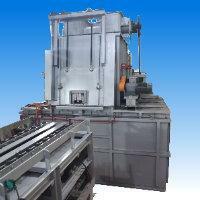 CONTINUOUS BRIGHT TREATHENT FURNACE GMB-type continuous bright heat treatment furnace is designed for continuous Bright Copper Brazing, Silver Brazing, Bright Annealing, Bright Hardening And Sintering, Including stainless steel parts. Such as knives, scalpels, watchcase, table wares, valve heads, knife handles, gears, screws, bearings, levers. 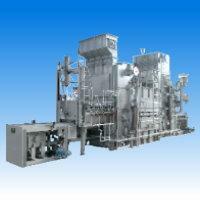 The furnace will process your work efficiently and economically, free of oxidation and discoloration. Design of GMB System GMB system is made of rigid constructure and excellent thermal insulator,hump type gas-tight muffle, stepless speed changed mechanism,automatic temperature control panel and ammogas generator.That could heat-treating in ferrous,non-ferrous metal and stainless steel parts high efficiently and economically.HI HEAT ensure products uniform quality,free of oxidation and discoloration. 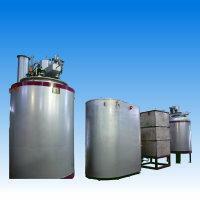 *Temperature Range:HEATING FURNACE 760~1100℃.